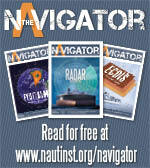 The issue of seafarers and their lives at sea is always an important topic. Over the past few years, there has been increased concern that the sense of community onboard is declining. So, what can be done to bring people back together onboard ship? Ships are unique places, especially for the crew onboard. They are not just workplaces, they are a home too. Sometimes for extended periods of time, weeks certainly, and often months. That makes it even more important for seafarers to feel a sense of comfort and enjoyment. It isn’t enough to eat, sleep and work. There is a need for engagement too, of having things to do and people to share leisure time with. The advent of the internet on ships (though all too many still don’t have access), has sometimes been singled out as a reason for a breakdown in the bonds and camaraderie at sea. This seems like a bit of a leap in logic, but the argument runs that people more often than not return to their own cabins rather than a communal area. Maybe there is some truth in that, but it doesn’t really seem to tell the whole story. There are many factors which have made ships less social, cultural changes have had a massive effect, so too the use of smaller crew contingents and seemingly ever faster port turnarounds. All these aspects have had an effect. ­The importance of a sense of community at sea and social cohesion onboard ships cannot and should not be underplayed. It is so vital to the happiness and wellbeing of seafarers to have friendships, camaraderie, and support from colleagues. 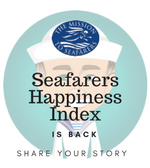 In the recent Seafarers Happiness Index report from the Mission to Seafarers, interaction with other crew members on board was seen as incredibly important. Thankfully, it seems that seafarers are still finding the opportunities to engage onboard. Seafarers in the latest report spoke of the pleasure of getting along with people, and of how positive their friendships and camaraderie are while they are at sea. Good colleagues are seen as being hugely significant and make all the difference for those working on ships. Communication, interaction, and team building were recognised and encouraged, and the power of making new friends, of a sense of “family” onboard, and the value of being within a “great team” is so vital to happiness. There is so often a temptation when thinking about seafarers of today to compare with how things were in the past. That is not overly helpful though – things have changed, laws, rules, culture all have moved on. In some cases that has brought positives, in others perhaps not so much. Yes, ships with more people onboard were livelier, yes there was alcohol and sometimes that was good…and sometimes that was very, very bad. Things have changed – time onboard is far more regimented and downtime harder to come by now. There are fewer people, but still so much to be done. Ships are in and out of port faster, with more demands on their time. Nowadays shore leave is less likely, and when it comes people don’t swarm en masse “up the road”. A trip to the local mall or cinema is now the norm, not the pastimes of past times. Again, this is something that can sometimes make it harder for people to bond and for friendships to be forged. Seafarers still need that sense of community and camaraderie onboard, but it is getting harder to generate. Sometimes the problems are the isolation of small crew sizes, or the fact that people do tend to drift back to cabins. Often though, it can be just that there is too little to do, not enough shared activities or a focal point. So, what are the six top tips for getting people together and ensuring that life onboard ship is a little bit more social and productive? 1) Be Nice to One Another: Ok, that sounds worrying like hippy nonsense. However, studies of high performing teams in law enforcement, Navy, and NASA show that there is a 5:1 ratio of nice to nasty. People who have more positive interactions than negative work together better, they achieve more and there is a general sense of wellbeing in the group. Weirdly, this ratio apparently also applies amongst monkeys and apes. Indeed, according to studies, it looks like the 5:1 good to bad ratio is a basic primate need for group bonding. 2) Touchy Feely: Ok, this is a weird one…but bear with us. Academic research has shown that the groups that touch more achieve more. We know, we know…it doesn’t sound quite the thing to encourage at sea. Still, the data became clear when Berkeley researchers studied basketball, which both requires extensive second-by-second teamwork and is known for its elaborate language of touching. They found that the number of “fist bumps, high fives, chest bumps, leaping shoulder bumps, chest punches, head slaps, head grabs, low fives, high tens, half hugs, and team huddles” correlated significantly with the degree of cooperation among teammates, and displaying a reliance on a teammate at the expense of one’s own individual performance. The teams that touched the most cooperated the most and won the most. Though touching is a very sensitive matter…and while the occasional high five may be good, the idea of people chest bumping on the Bridge leaves a lot to be desired. 3) Mix of Old and New: Studies of teams working on Broadway found that just the right balance of old friends and newcomers to the team made for the best mix. The older relationships provide solidity, while the newer bonds encourage a better sense of creativity and of trying harder or innovating. 4) Telling Stories: Time was when ships resounded with stories of times past, of old ports, spooky tales, and the goings-on in certain ports when things went bump in the night. That has all but stopped now, but telling stories together is a very powerful bonding experience. Teams who spend time listening to compelling tales of what has gone before have a far stronger commitment to each other, and also towards the company. 5) Goals and Roles: Clarity is a key factor of team building and ultimately satisfaction. 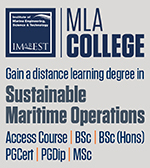 So, seafarers need to have clear guidance and understanding of how to perform well. Not just the legal need to be safe, secure and to care for the environment- but how to go above and beyond. There needs to be some excellence to reach for. Then, people striving also need very clearly defined roles in attaining those goals. The structure onboard is actually incredibly well designed…the ranks didn’t just happen by accident after all. So, the foundations are there, seafarers just need the framework to excel. 6) Shared Experiences: It used to be the bar, or the run ashore – but now it isn’t. However, there is still so much to be gained from people joining in things together. Today, it is about movie nights together, or perhaps some fitness challenges. The fact that ships can now receive top sports events, like boxing, basketball, and IPL Cricket – means that seafarers can watch together, they can enjoy the experience and work better as a team. That is a real win-win. So, the secrets of building a social unit at sea are there – a team where people are nicer than they are nasty, who may high five…or at the very least exchange a handshake. A team made up of old heads and new hands, who talk together and get to hear stories of what has gone before. A team who know what they are expected to do, and who they will be doing it with and their own defined role. 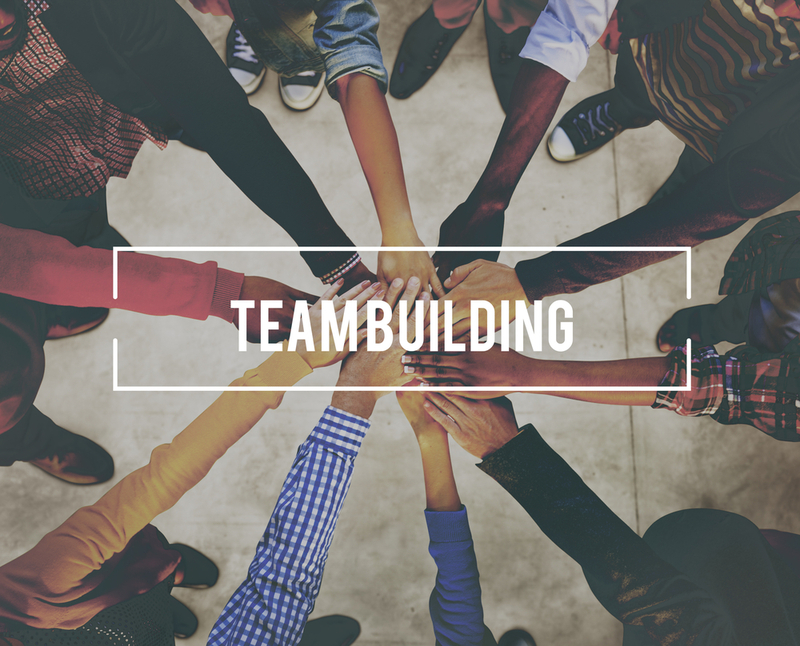 A team that gets to share things, to watch movies, to cheer on sports teams or to challenge each other to step away from the cabin, to be more open and engaged. With such steps perhaps the isolation, unhappiness and mental health issues which are all too often affecting seafarers can be addressed and life at sea improved? It is worth a try.